Picture this: You’re travelling around Australia in a campervan with the windows rolled down, the wind in your hair, the music blaring and the sun shining. You’re free to stop at the dazzling beaches where surfers roll in on the waves and people watch on with a cold drink to hand. You can travel for an hour, maybe even half a day if you choose, and stop off at the next laidback beachside town. As the sun sets, take your pick from stylish restaurants, chilled out cafes, buzzing bars or simply ‘throw a shrimp on the barbie’ (sorry, had to do it!) and cook your own freshly caught dinner by the beach. Yes, life is good when you’re travelling by campervan in Australia. If this sounds like your ideal holiday, read on to find out the best places to stop in Queensland when you’re travelling by campervan. 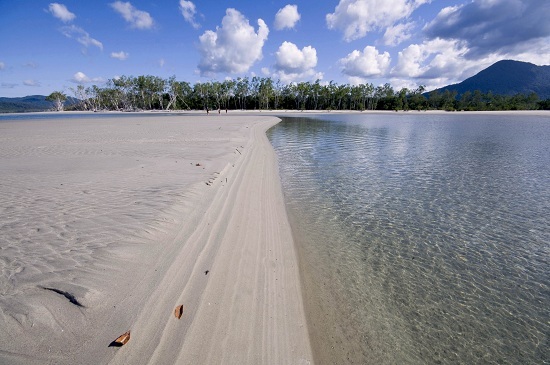 Starting from the top of Queensland, the Daintree Rainforest is a stunning tropical forest that is not to be missed. This is the oldest living rainforest in the world and you could easily spend 2-3 days relaxing and taking in the scenery. There are plenty of campsites where you can spend a few nights in your campervan or you could splash out and stay at an eco lodge. Take a guided walk through the forest in the evening to see even more wildlife and animals that go bump in the night. There are plenty of walking and climbing trails and if you’re looking for something more adrenaline fueled then hop on 4x4 tour and wind your way through the lush forest. The gateway to the Great Barrier Reef is a buzzing and cosmopolitan city that has something for everyone. Sun worshipers should head to the lagoon on the pier to relax in the sunshine and make the most of the free barbecues that line the promenade. This area is the place to be during ‘stinger season’ when the sea is off limits due to the jellyfish. If you’re looking for an adventure then you’ve come to the right place with hundreds of adventure companies offering skydiving, hand gliding, hot air ballooning and sailing trips. And, of course, you can’t come to Cairns without taking a dip in the Great Barrier Reef. You’ll find everything from one day snorkeling trips to week long scuba diving trips for divers of all abilities. 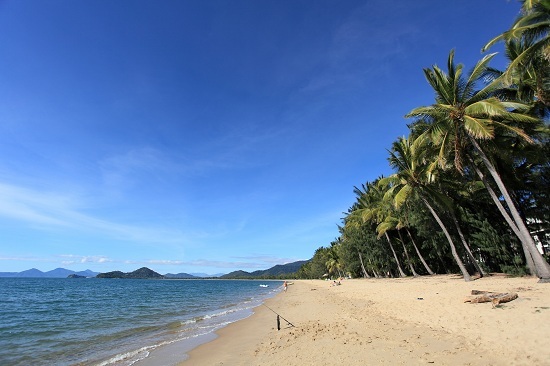 There are large campsites in Cairns with great facilities and within walking distance of all the main attractions. Hervey Bay is often described as the jewel in Queensland’s crown thanks to these stunning beaches, clear seas and the laidback vibe in the town. 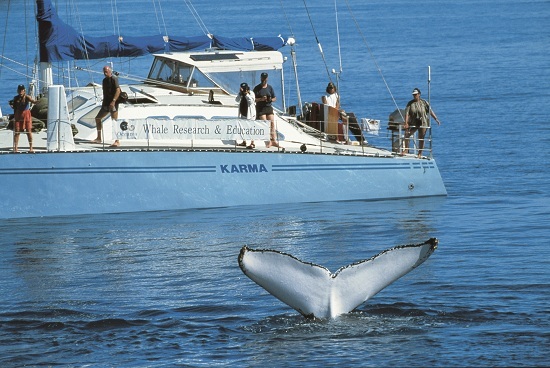 This is one of the best places in Australia to see whales between July and November and whale watching tours are a popular excursion. Hervey Bay is also the gateway to Fraser Island, the largest sand island in the world, which is popular for camping trips on the pristine sandy beaches. Unless you're in a 4x4, leave you're campervan on the mainland and opt for a vehicle designed for the sand. The capital of Queensland is the third largest city in Australia but still retains that chilled out Australian vibe and is known as having some of the friendliest locals in Oz. Head to South Bank if you’re looking for shops, cafes, restaurants and bars and there’s even a stunning park with an artificial beach. The Queensland Cultural Centre is a great place to learn more about the history and culture of the area. You’ll find sleek city buildings, stunning art galleries and some ritzy glamour but underneath it all, Brissie is still a sleepy city that you can’t help but love. Even in this busy city, there are plenty of places to camp just outside the city and many hotels and hostels have parking suitable for campervans. 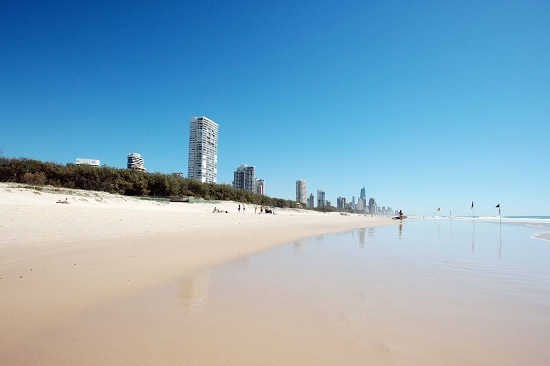 The Gold Coast is one of the most popular holiday destinations in Australia and is a world away from the sleepy seaside towns you’ll find in northern Queensland. You’ll find glitz, glamour, neon lights and one of the best party scenes in Australia. It’s a great place to keep the whole family entertained with a wildlife sanctuary, Sea World, theme parks galore including Dreamworld, Warner Bros Movie World and Wet ‘n’ Wild but it’s the stunning beaches that are the main attraction. If you’re looking to get away from the city and explore the ‘green behind the gold’, take a trip to the Gold Coast Hinterland where you’ll find mountains, creeks, waterfalls and stunning natural rock formations. If this sounds like your dream trip, check out our Brisbane to Cairns Campervan Journey. Deal ends 30 April 2013. Take a look at this if Melbourne and The Great Ocean Road would be your perfect campervan destinations.